Home » Uncategorized » Products we LOVE! Valentine’s Day is upon us, and you know what that means! In the spirit of the holiday, we are featuring products we LOVE. Don’t worry, while we wish we were getting paid to form this list, these are simply products we believe have earned some Nurse and Momma street cred (the best kind! ), and we want to share the love. We LOVE this swaddle and this one too. We LOVE this sippy cup. We LOVE this bouncy seat. We LOVE this bottle system. We LOVE this milk storage. We LOVE this white noise machine and this one too. We LOVE this sleep sack and this one too. Get updates, tips and the latest from the Newborn Nightingales. We are excited to announce that Newborn Nightingales will now be helping families in the Houston area. Visit our services page to see all of the areas we cover. 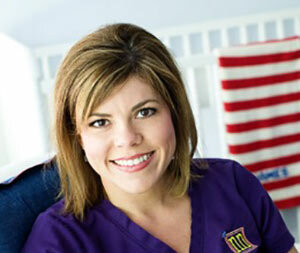 As a Registered Nurse specializing in NICU and Labor & Delivery for over twelve years, Melissa is also a mother of three. Newborn Nightingales provides supportive newborn to toddler sleep/schedule consultations and exceptional in-home night nursing for babies. Photography courtesy of Jill Johnson and Lady Bean Photography. The sleepless nights can be over! Newborn Nightingales is excited to offer DFW’s only registry helping parents get the much-needed sleep they need and deserve.